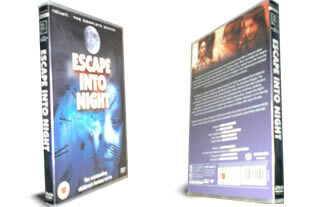 Escape into Night DVD box set. The complete series on 1 dvd's. DELIVERED FREE IN THE UK. The complete series of this outstanding children’s fantasy series. Escape into Night now only exists in black and white, although it was originally made in colour nearly 40 years ago, the original colour videotapes were junked many years ago. Marianne played by Vikki Chambers is confined to her bed following a riding accident. She enjoys drawing an imaginary place in her sketchpad to pass the time. However, when she realizes that during her sleep she dreams her imaginary world she draws a house so she can investigate it in her dreams. Then she is surprised and scared to find a boy looking at her through one of its windows… Because of its eerie and dark suspense it is still remembered today with a sense of unease.